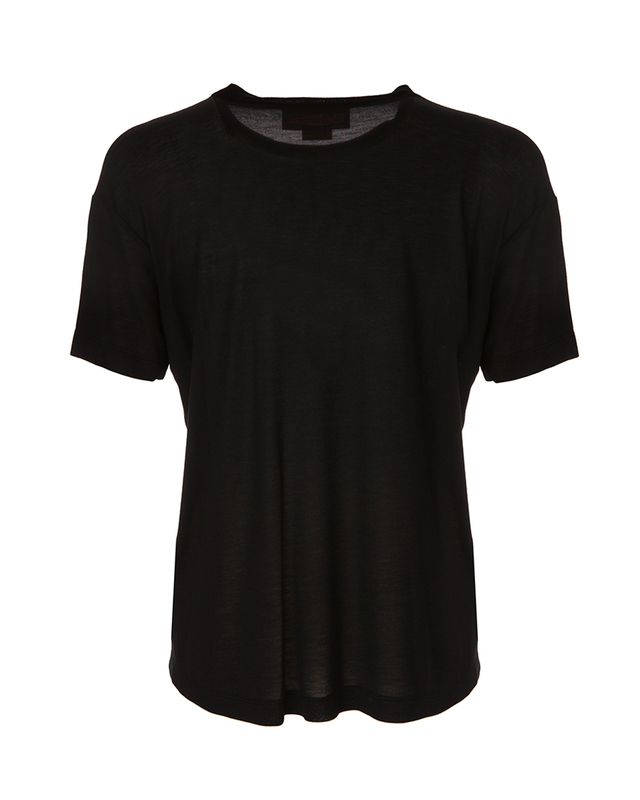 The black t-shirt is a must-have for any woman's wardrobe. 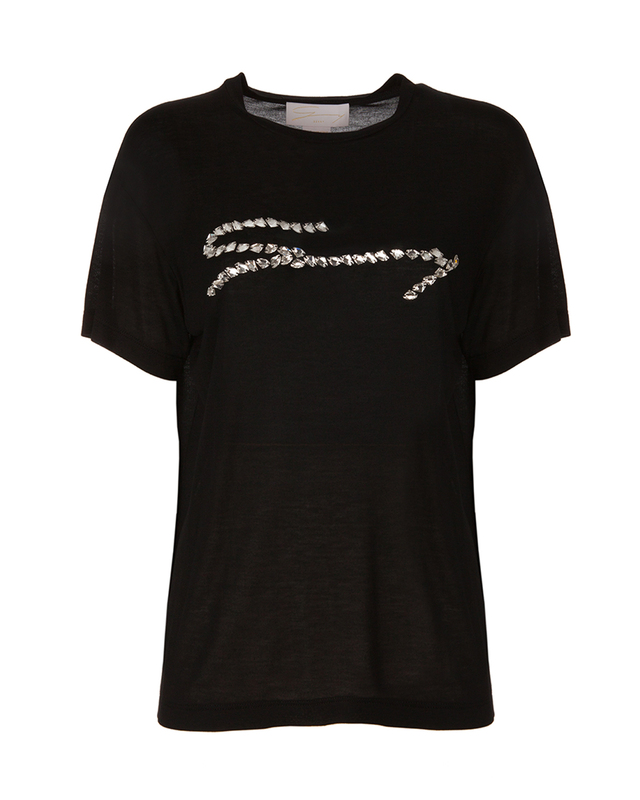 Perfect for saving any outfit at the last minute, made in jersey blend and embellished with the "Genny" logo in sparkling crystals along its low neckline. A versatile garment that evokes a casual style that can be chic at the same time with skinny jeans and a black blazer.